Painted monasteries and fortified churches stand regally amid a wonderful landscape. In the pristine cities, former Saxon settlements like Brașov and Sibiu ooze charm, while Bucharest is full of energy. I’m a citizen of Romania and will expose some insights not all tourists get to know. Natural Beauty. Located in Eastern Europe, Romania boasts the Carpathian Mountains that draw an arc through the exact centre of the country. The mountains have an incredible swath of rocky peaks surrounded by deciduous trees and grooves of pine. Some landscapes are unaltered by humanity and a wide network of huts offers accommodation for those curious enough to travel at 2000m+ altitude. Danube is Europe’s second-longest river and marks the southern border of the country before emptying into the Black Sea. An important mark of natural beauty is the Danube Delta, which is a unique and vast protected land, perfect for fishing, birdwatching, hiking, and boating. Friendly Faces. Romanians everywhere are extremely proud of their history and eager to share unique parts of it with visitors. Even though it’s been part of the European Union since 2007, Romania is considered by many foreigners an off-the-beaten-track destination and locals give kudos just for showing up. Romanians themselves are very different and it depends which region of the country you visit – the most developed being Bucharest, Brașov, Cluj-Napoca, and Mamaia. You’ll find friendly faces almost anywhere, that’s for sure. Medieval Villages and Castles. The country where Dracula existed certainly has no shortage of stunning landscapes and jaw-dropping castles hidden on rocky hilltops. The Bran Castle has the spurious connection to Stoker’s narrative, but other places such as 14-century Corvin Castle or Peleș Castle are equally unique. Maramureș boasts villages and towns that seem directly from the Middle Ages, with hay racks, wooden churches and horse carts. Folk Culture. Most of Romania’s recent history is packed with tales of heroic battles against the Ottoman empire and against the Austro-Hungarian empire. Romanians are friendly people and they’ve been like that for the last 2500 years. They defended their lands and have never tried to conquer anyone. For centuries, Romania had a peasant culture. The pack of passable roads, the extremely hilly geography saw the onset of hundreds of self-sufficient small cities and villages, where crafts like pottery, tanning, weaving, and bread making became art. Today most of the country has progressed a lot – having the fastest Internet in Europe and plenty of technology. But when you step out of the cities, the ‘simple’ way of life still persists – you can visit folk museums, genuine villages and folkways which are still practiced. One of the most crowded capitals in Europe, Bucharest is dynamic and energetic. It’s the place where unbridled capitalism meets still-unreconstructed communism. It’s where the passions of the Middle East and Balkans meet the forces of the European Union. Most travellers give Bucharest one or two nights before going to Transylvania, but I think that is not enough. One needs at least 4 days to visit the great museums, the Palace of the Parliament, the parks and the trendy cafes. The city has it’s modern parts, but you’ll find splendid 17th-century Orthodox churches tucked away and art nouveau villas. If you’re looking to see the communist influence, it’s quite evident once you stroll through the blocks of flats. Nothing is more evident than the Palace of Parliament, the craziest tribute to communist megalomania you will ever see. This enormous building is the world’s second-largest administrative building, after the Pentagon. It was built in 1984 and has more than 3000 rooms and 11 underground levels. You’ll need a passport to visit, and it costs about 15 euros. Today it houses the parliament. The legendary vampire has cast terror into many people’s heart. The name was created by Bram Stoker in 1897 when he published a novel with the same name. 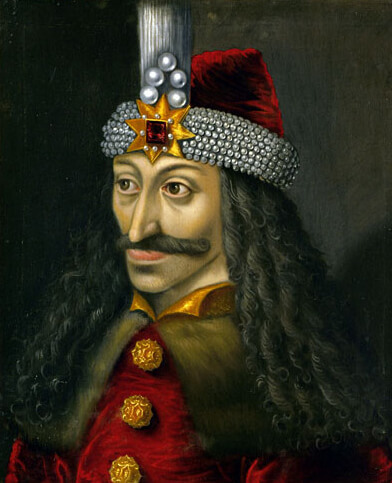 Dracula was actually a fictional creation, and it’s possible that Stoker named his infamous fictional character after a real ruler who lived in present-day Romania. He was Vlad Țepes (or Vlad the Impaler), Prince of Wallachia. In my travels around the world, I’ve seen his face in Madame Tussaud’s Wax Museum (London) and I even told a guy in Israel that my family descended of Dracula. The morbid nickname comes from Vlad’s favorite way of killing his enemies. 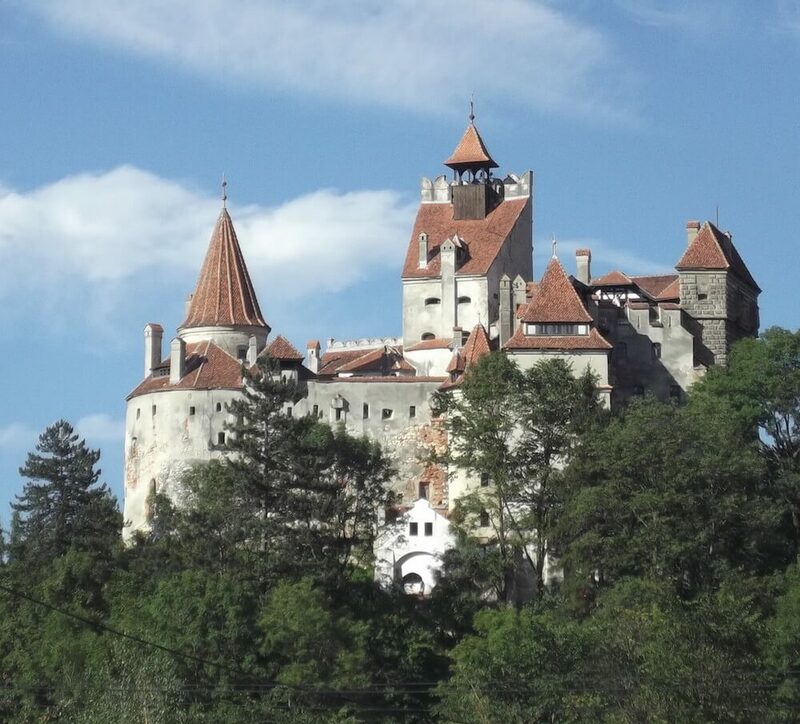 I’m not going to tell you the 1000-page history of Dracula now, but it’s worth to mention that Dracula’s Castle – the Bran Castle near Brașov, Romania, wasn’t actually his castle. He only stepped foot there when he was imprisoned by Matei Corvin. It’s marketed this way because of its hilltop position in Transylvania and because he lived for some time in Brașov. What you need to remember here is that Stoker’s Dracula is not the same as Vlad the Impaler. The similarities are there because of the gruesome events the real-life character created. Vlad had conflicts with Wallachia’s boyars and invited them to a banquet. According to legends, he had them stabbed and their still-twitching bodies impaled on spikes. Many stories are documented in printed material and still exist. Bran Castle is located on a dramatic hilltop in central Romania, near Brașov. It’s been linked to the vampire and was built around the same time when Vlad the Impaler lived. It’s now open to the public and anyone can peer into the dark passageways and creaky rooms. The castle receives half a million visitors every year. Since it’s perched in a quite remote position, you can reach it either by renting a car or by taking a bus there. Miles of sandy beaches, a warm climate, vineyards, ancient monuments, and modern resorts invite tourists to visit Romania’s Black Sea as a summer vacation destination. Now, I wouldn’t come to Romania only for the beaches, but for the nightlife you can find in cities like Mamaia or Costinești. 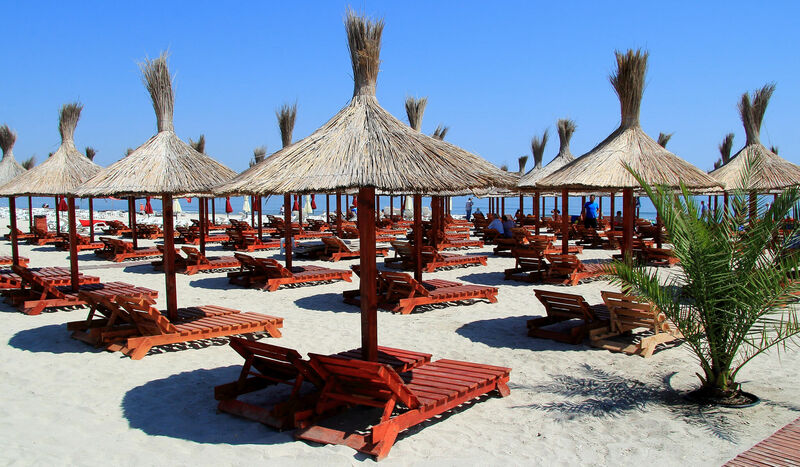 Romanians are avid party lovers and throughout the fine sand covered beaches, you’ll find elegant hotels placed right near the coast, offering stunning views. There are over 30 airports where you can land, but the most well known is Bucharest “Henri Coanda” International Airport. Bucharest is about 2 hours by plane from Central Europe and the other major cities within the country are connected with destinations such as Spain, Austria, Italy, England, Belgium, Germany by flights with Tarom (Romania’s national carrier), BlueAir, WizzAir (note that these two don’t appear in meta searching portals like Momondo and they usually have the best fares), Austrian Airlines and so on. Most of the flights are only to Bucharest. Many low cost airlines have started flights between smaller cities to other European countries, so you should manually check for different dates. Travelling by train from Europe to Romania takes from just 4 hours (from Budapest to Arad or Timișoara) to about 48 hours (from London to Bucharest). 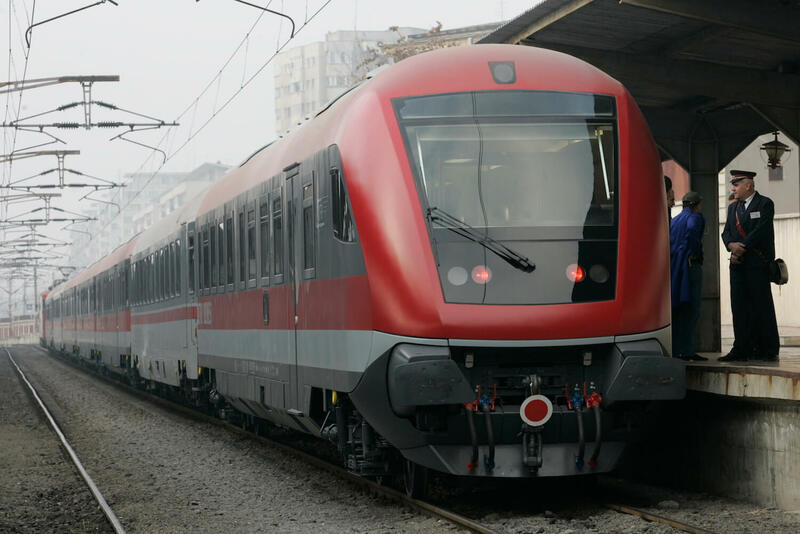 Trains are quite cheap in Romania because infrastructure is poorly developed, but the Romanian National Railways company offers journeys with second and first-class sleepers to many destinations across Europe. Border crossing between western countries and Romania is always just a formality, since the country is a part of the European Union. However, check the policy regarding taking the car across international borders when renting a car. The Romanian Customs will ask for proof of insurance, road toll badge (Rovigneta), a valid driver’s license, and vehicle’s registration. If renting a car is expensive (but still the best choice in my opinion), there are cheap bus routes that connect major Romanian cities with other European cities with communities of Romanians: Bologna (Italy), Madrid (Spain), London (England), Frankfurt (Germany), Paris (France). Romania is a very strict country when it comes to non-European citizens. You should check on your government’s official website what type of documents you need prior to your arrival. When I travelled to Egypt, I used VisaHQ at a friend’s recommendation to get my visa fast, since I had no time to visit the Embassy in Bucharest and to deal with the unbearable bureaucracy. Another friend from Israel visited me and had issues at customs because of some paper he did not have. All European citizens can travel to Romania with nothing but their national ID card. 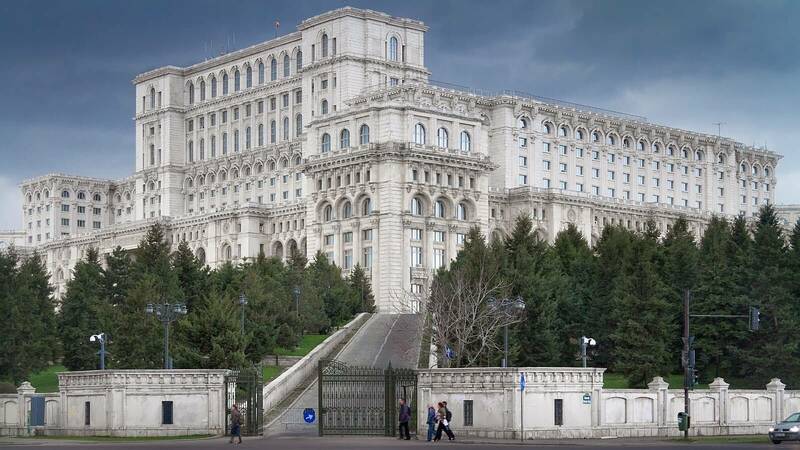 Other countries may have contracts with the Romanian government, and travelers might be able to travel here without a visa. For instance, Romanians can travel to Tunisia or Israel with a visa. Flights between major Romanian cities are scheduled only in certain days of the week, but Bucharest has connections with pretty much all regions. This is the fastest way to travel within Romania since all other transportation means are much slower. For instance, if you want to visit Iași from Bucharest it will take you 7 hours by train (for just 389 kilometers). Renting a car can be a good choice if you’re aiming to visit Bucharest, Transylvania and the seaside. Pro tip: use the low cost airlines from above to get cheap plane tickets and join communities like CouchSurfing to visit a city with the help of a local. It’s one of the best ways to dive in the local cuisine and get insights from people who live here. By the way, if you come to Romania you can reach to me and I can show you around provided I have the necessary time. I hope you’ll enjoy your visit should you decide to come to Romania. Mihai is a Romanian medical doctor, traveller, avid ultra-runner and blogger. 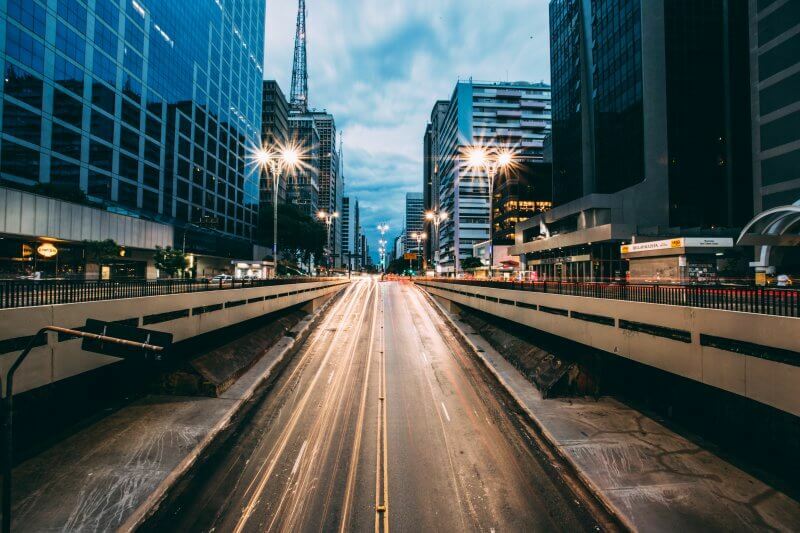 He talks about life at mihaivoinea.com and posts pictures from his travels on his Instagram. The Danube Delta is also a great travel destination in Romania. It’s one of the most beautiful places in Europe, with its bio-diversity and unique landscapes. If you plan on visiting Romania, you shouldn’t miss it!